This phase of healing lasts up to about 72 hours. It is characterized by vasodilation, immune system activation of phagocytosis to remove debris, and the release of prostaglandins and inflammation. The prostaglandins play a prominent part in pain production and increased capillary permeability (swelling). Therefore the wound is hypoxic. Because the blood vessels have been disrupted. But immune system macrophages perform their phagocytosis duties anaerobically. This phase begins at about 48 hours. And it continues for about 6 weeks. This phase is characterized by the synthesis and deposition of collagen. So literally it will glue the margins of the healing breach together. This phase is “largely one of increasing the quantity of the collagen.” But this collagen is not laid down in the direction of stress. 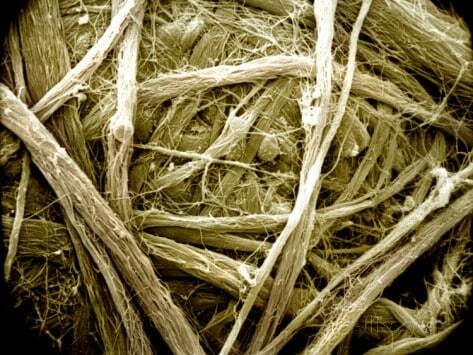 This phase is largely “an improvement of the quality” (orientation and tensile strength) of the collagen. This clotting cascade results in the release of inflammatory molecules and inflammatory cytokines from cells such as platelets. There is an influx of fibroblasts, which sets the stage for the second phase of the repair process. In this book, they add to the details of the principles of soft tissue injury and repair. This phase begins immediately after injury and last 0 – 2 days. Fibroblasts migrate into the injury area. This phase lasts 2 – 5 days. This phase begins between days 21 – 28, and continues to about day sixty. Therefore, There are a number of variables that influence the timing and quality of healing. “So The advantages of cryotherapy in treating soft tissue injuries have been well documented.” Therefore ice within 48 hours of injury reduces disability of ankle sprains from 15 days to 10 days. So Early mobilization, guided by the pain response, promotes a more rapid return to full activity. Following this acute inflammatory phase and largely guided by the pain response of the patient, early mobilization is commenced. So based upon the premise that the stress of movement on repairing collagen is largely responsible for the orientation and tensile strength of the tendons and ligaments. The goal of stressing repairing tissues with controlled motion is to induce adaptive response of functionally stronger connective tissues. So excessive stressing of the repairing tissues may result in further damage. Therefore, any sign or symptom which suggests a worsening of the injury (severe pain) is a clear indication to reduce the motion stress on the tissues. So the strength of repaired ligaments is proportional to the mobility of the ligament, resulting in larger diameter collagen fiber bundles and more total collagen. “Matrix and cells are found in a continuous dialogue and are dependent on each other.” “The forces on the network of collagen and elastic fibers and ground substance are transferred to the cell membranes via link proteins. So the cell is informed by these signals and is stimu­lated to keep synthesizing new matrix components. Most healed soft tissue injuries are asymptomatic. Therefore, it is universally accepted that the healed tissue is weaker than the pre-injured tissue. Therefore acute flare-ups of pain or exacerbations of pain and/or spasm often occur as a consequence of increased use or stress of the once injured but now healed tissues. So good early treatment improves the quality and timing of soft tissue injury. Therefore best early treatment appears to include ice and early controlled motion that does not move the tissues into pain. The remodeled scar is deficient in both content and quality 40 weeks after injury. So there is a plateau in scar collagen concentration at about 70% of normal. “The scars have a greater amount of inferior strength tissue compared with that of normal” ligaments. “The structural strength and stiffness, stress and tissue quality continue to improve up to 12 months after injury. The ligament scar affects the associated joint function. “Whereas wound healing generally leads to a repair of the injured site, it does not lead to tissue regeneration. So the repair process can lead to a loss of function, primarily from scar tissue, and this can occur in both musculoskeletal and visceral tissue (heart, lung, kidney, liver). The scar cells in the healing ligament are different from normal cells and therefore the scar is intrinsically different. The size of the wound and the resulting scar tissue has a dramatic impact on the biomechanical outcome. Additionally, Dr. Hildebrand and colleagues discuss factors that impair soft tissue healing. “Musculoskeletal soft tissues tend to heal through formation of relatively weak, disorganized scar tis­sue. “So Ligaments take longer to heal than other connective soft tissues, and the repaired ligament tissue is scarlike and inferior to normal ligament tissue both biologically and biomechanically. Soft tissue healing occurs over a period of 12 months or more. Controlled motion, including the chiropractic adjustment, is the best approach to enhance the quality of ligament healing, especially in the remodeling phase. Ligaments and tendons heal with scar tissue (repair) as a rule, and not with normal pre-injury tissue (regeneration). Therefore this scar tissue causes permanent loss of function. Even healed ligament injuries have residual weakness. Scar tissue is mechanically functionally inferior to normal tissue. So its inherent weakness makes the tissue prone to failure at previously normal load levels, and subsequent new trauma to scarred tissue will result in greater injury. So the intensity of the initial inflammatory response is linked to Scar tissue (fibrosis) repair. Therefore, early inflammation control (ice) could improve the timing and quality of healing. So scar tissue, to varying degrees, is remodelable with the application of controlled motion, which I believe includes and even requires chiropractic adjustments. So lack of symptoms is not synonymous with full healing and functional recovery. Therefore a flare-up or exacerbation of pain after the healing process most likely will require another few quick visits to the chiropractor. Whiplash injury chronic pain is primarily generated by injury to the facet joint capsular ligaments. So facet joint capsular chronic pain can cause an abnormal psychological profile. Many studies conclude that litigation (hiring a lawyer) subsequent to an injury is “harmful to recovery.” However, these studies do not evaluate the concept of Reverse Causality, and hence are flawed. Kandel ER, Schwartz JH, Jessell TM; Principles of Neural Science, Elsevier; 2000. Bogduk N; On Cervical Zygapophysial Joint Pain After Whiplash; Spine December 1, 2011; Volume 36, Number 25S, pp. S194–S199. Bogduk N, Aprill C; On the nature of neck pain, discography and cervical zygapophysial joint blocks; Pain; 54; 1993, pp. 213-217. Wallis, BJ, Lord, SM and Bogduk, N (1997). “Resolution of psychological distress of whiplash patients following treatment by radiofrequency neurotomy: a randomized, double-blind, placebo-controlled trial.” Pain; 73: pp. 15-22. Spearing NM, Connelly LB; Is compensation “bad for health”? A systematic meta-review; Injury; January 2011; Vol. 42; No. 1; pp. 15-24. Scholten-Peeters GGM, Verhagen AP, Bekkering GE, van der Windt DAWM, Barnsley L, Oostendorp RAB, Hendriks EJM; Prognostic factors of whiplash-associated disorders: A systematic review of prospective cohort studies; Pain ; July 2003, Vol. 104, pp. 303–322. Spearing NM, Connelly LB, Gargett S, Sterling M; Does injury compensation lead to worse health after whiplash? A systematic review; Pain; June 2012; Vol.153; No. 6; pp.1274-82. Cassidy JD, Carroll LJ, Côté P, Lemstra M, Berglund A, Åke Nygren A; Effect of Eliminating Compensation for Pain and Suffering on the Outcome of Insurance Claims for Whiplash Injury; New England Journal of Medicine; April 20, 2000; Vol. 342; No. 16; pp. 1179-1186. Spearing NM, Connelly LB, Nghiem HS, Pobereskin L; Journal of Clinical Epidemiology; November 2012; Vol. 65; No. 11; pp. 1219-1226. Studies on development of connective tissue in transparent chambers in rabbit’s ear. American Journal of Anatomy; 1940. Orthopaedic Medicine, Diagnosis of Soft Tissue Lesions; 1982. Acute soft tissue injuries. Australian Family Physician, 1982. Sports Medicine: Prevention, Evaluation, Management, and Rehabilitation; 1983. Normal ligament Properties and Ligament Healing. Clinical Orthopedics and Related Research; 1985. Injury and Repair of the Musculoskeletal Soft Tissues; American Academy of Orthopaedic Surgeons; 1988. Wound Healing, Biochemical & Clinical Aspects; 1992. Continuous Passive Motion, A Biological Concept for the Healing and Regeneration of Articular Cartilage, Ligaments, and Tendons. From Origination to Research to Clinical Applications; 1993. Effects of Early Motion on Healing of Musculoskeletal Tissues, Hand Clinics; 1996. Immobilization or Early Mobilization After an Acute Soft-Tissue Injury? The Physician And Sports Medicine; 2000. Cells, Tissues, and Disease; Principles of General Pathology, 2004. The Basics of Soft Tissue Healing and General Factors that Influence Such Healing; Sports Medicine Arthroscopic Review; 2005. Orthopedic Biology and Medicine; Repair and Regeneration of Ligaments, Tendons, and Joint Capsule; Humana Press, 2006. Fascia: The Tensional Network of the Human Body. The Scientific and Clinical Applications in Manual and Movement Therapy; 2012.